During the summer, we’ve switched to a weekly format again! I’m packing in between 60-120 people in a room and we are DANCING ourselves silly! 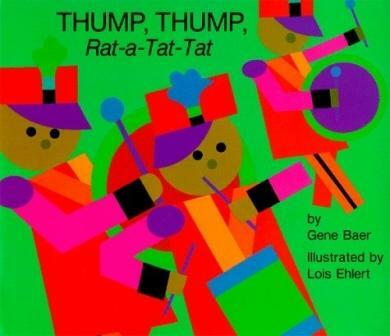 I had the kids clap and stomp during this book which meant that I had to get very loud for everyone to hear my voice. Luckily, that’s not a problem for me. The kids did have a little trouble getting quiet as the book wound down, but since they were still engaged, I was happy. I don’t know if there’s anything sweeter than watching kids dancing to “There’s a Little Wheel A’Turning”. Our last three songs were all scarf songs. We spun our scarves in a circle for “Hula Hoop”, swam with our scarves being fish for “Under the Sea”, and did a modern twist (ha!) on a classic with the Fresh Beat Band’s cover of “Twist and Shout”. Mr. Jon & Friends has become my favorite new discovery of the summer and “Movin’ Groovin'” continues the trend of thrills from the kiddos! Love your blog! Did I see where you suggested the title/author of a music CD that was specifically designed for using with the activity scarves? Looked through previous entries and couldn’t find the title. If so, would love the title again…thank you! Johnette Downing has a CD called THE SECOND LINE: SCARF ACTIVITY SONGS. It’s a good one!